You know that feeling you get upon discovering a new comic book shop? There is nothing better than seeking refuge amidst the rows of books and letting your mind free in a sea of frames and dialogue boxes. The smell of fresh ink is unlike anything else; it brings back childhood memories and sparks excitement over future sleepless nights of reading. 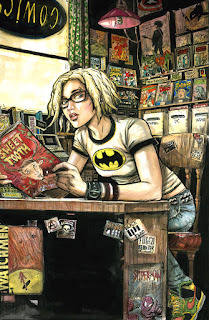 Aisles and aisles of comic books and graphic novels speak of endless possibilities. Here are five comic book shops worth a visit for any fan of sequential art. They all represent what we like best about the wonderful world of graphic storytelling: passion, creativity, and fun. If you ever find yourself in one of these cities, visiting one of these shops should be an absolute must-do. Why it rocks: Midtown Comics is the go-to place for any comic book fan visiting the Big Apple. 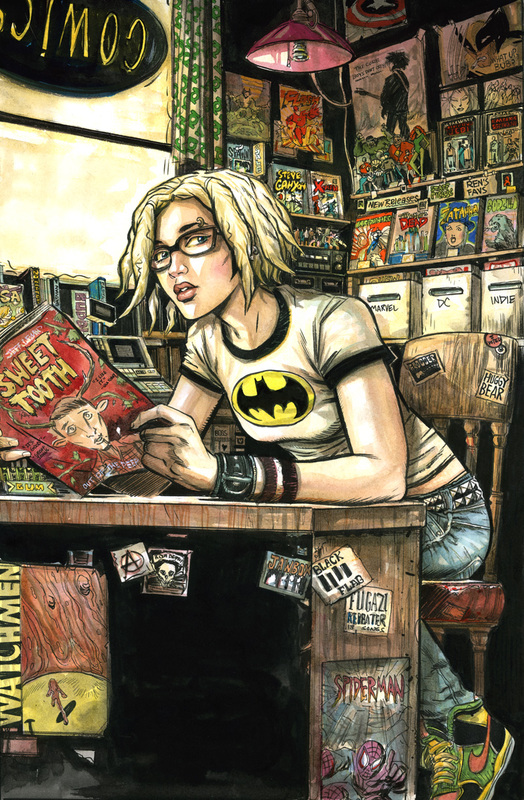 Since 1997, Midtown Comics has catered to many different ages, tastes, and passions. The preferred way to get there would be public transport (NYC's subway is the setting of many superhero adventures!). But if you are driving, it would be advantageous and wise to familiarize yourself with the rules of the road. Midtown Comics has three stores in Manhattan, but we certainly recommend the iconic Times Square shop at 200 W. 40th Street, near the corner of Seventh Avenue). Why it rocks: Ideal for those adventurous souls who want to take the path less taken and read every indie graphic novel that crosses their path, Atomic Books is a rare gem in the comic book landscape. It's a small, independent shop that privileges quality over quantity. Cool bonus: extravagant film auteur John Waters gets his fan mail through the shop. 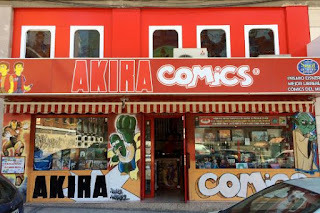 Why it rocks: Named the best comic book shop in the world in 2012 by the Eisner Awards, Akira Comics is the epicenter of Spanish-language comics in Europe. Madrid is one of the cultural capitals of the world, and the collection of comics offered at Akira Comics speaks volumes of the deeply-rooted European comic book tradition. The shop started as a family business in 1993 and has since remained an independent retailer offering titles from around the world. The shop also sells a wide selection of English-language titles. Why it rocks: A comic book shrine worth visiting Down Under. This shop is smack in the middle of Australia's cultural capital and is busting with personality. All Star Comics celebrates comic books by hosting talks and supporting both independent and well-established labels. 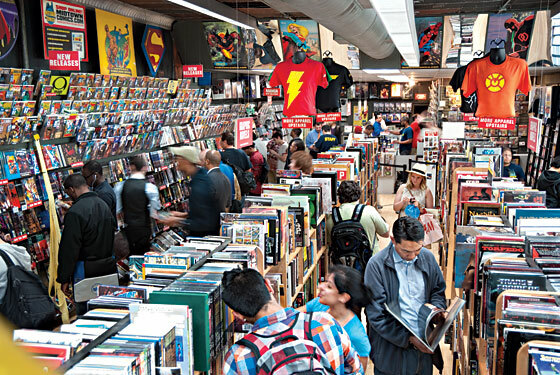 All Star Comics received the 2014 Eisner Award as the best shop in the world. Its blog, run by the owners Mitch and Troy, is lively and also worth a visit! Why it rocks: There are comic book fans -- and then there are anime and manga fans. 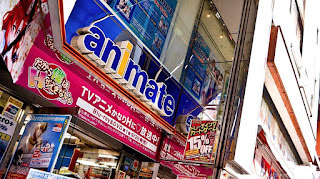 If you find yourself travelling through vibrant Japan, where every corner shines with pop culture references, Animate is a can't-miss experience. Immerse yourself and get lost in floors full of anime, manga, western comics, video games, and merchandise. 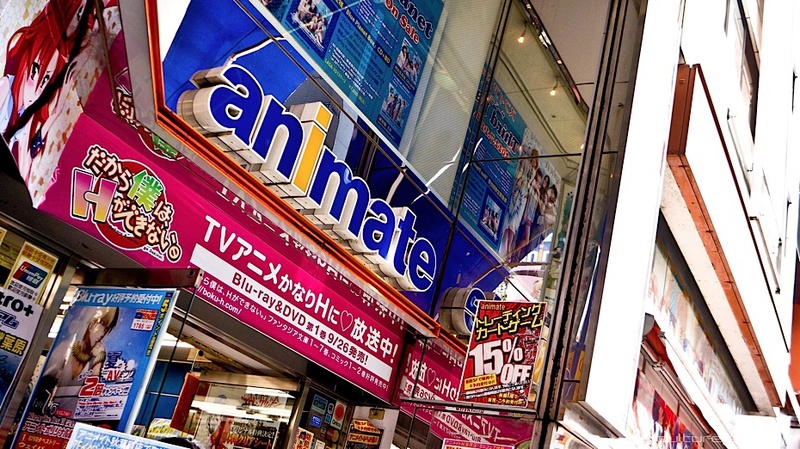 The best of the bunch is the Ikebukuro flagship store, which sells exclusive products for manga and anime fans.